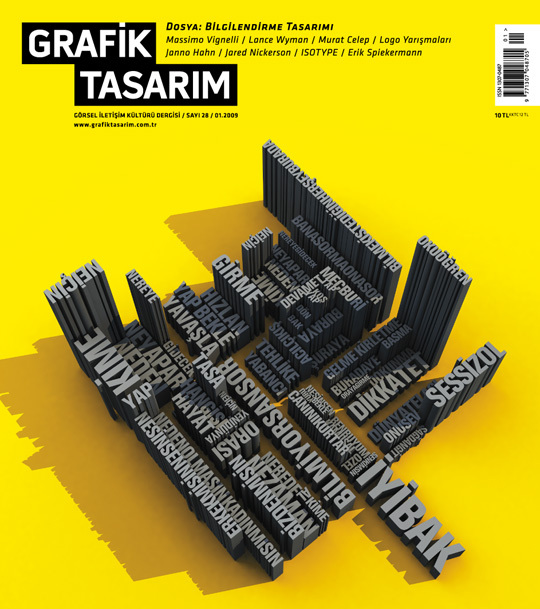 Above: Grafik Tasarım, via Ömer Durmaz in sunny Izmir. Teşekkürler! Cover design by Yeşim Demir. Thank you very much, Ömer! I added the cover design detail to the main post. This entry was posted by Erik Brandt on Sunday, February 15th, 2009 at 10:12 AM	and is filed under Aktuell, Education, Globalization, Graphic Design, International, News Links, Typografika, Typography.